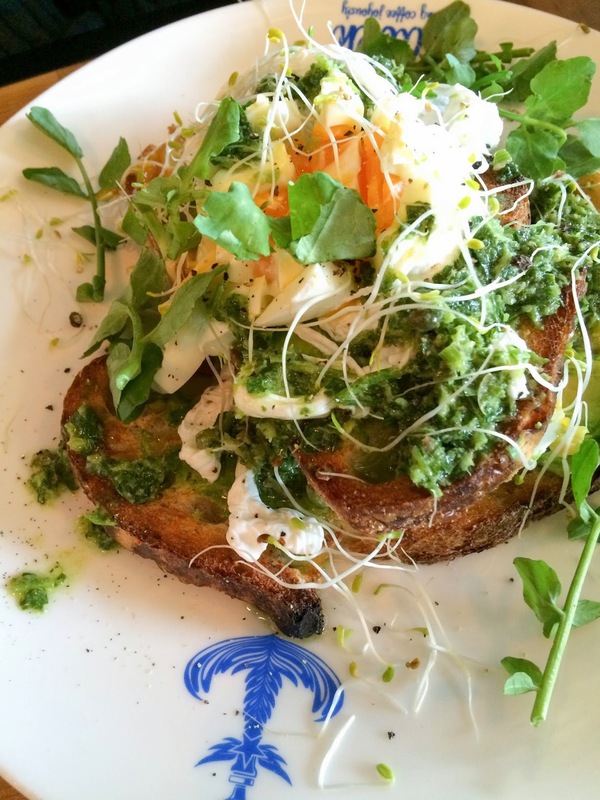 Haven is the latest addition to the Surry Hills Cafe scene and they certainly stand up to the standards. Find out what’s on their Weekend Menu of Rustic Elegance! 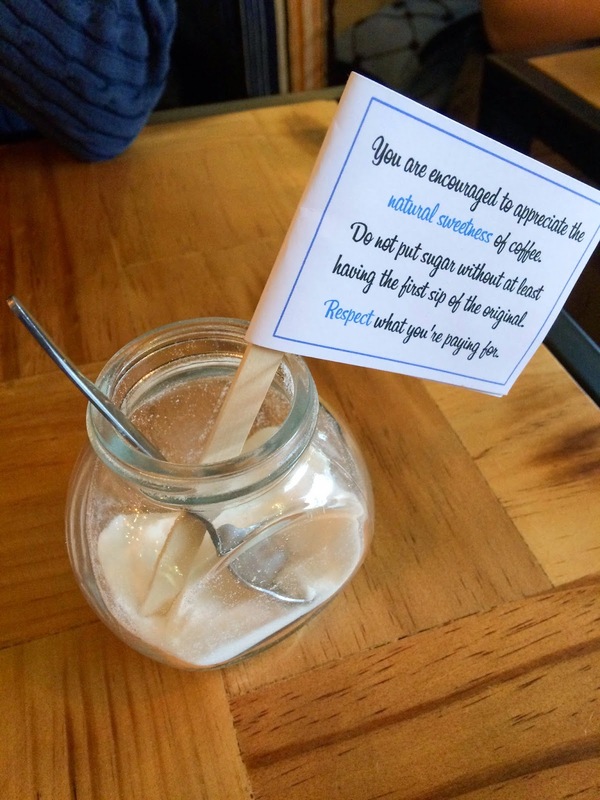 You know a cafe is serious about their coffee when their sugar bowl encourages you to NOT put sugar in your drink! I stopped putting sugar in my coffee a long time ago because I realised how complex the taste of coffee is when it’s not drowning in sweetness! Anyway I digress, L and I popped into Haven on a rainy day. The cafe has a very bright and open layout with plenty of seats. It’s super convenient as it’s located right opposite the Chalmers Street exit of Central Station. 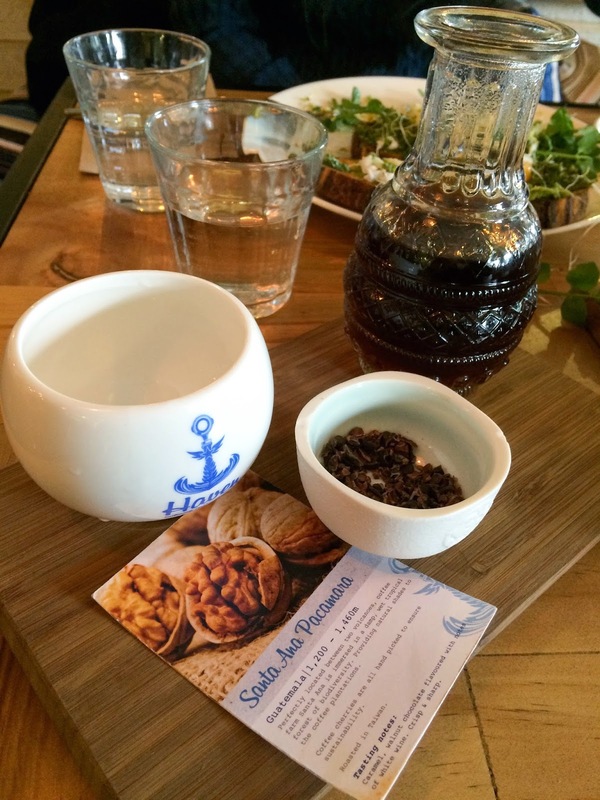 My cold drip came in an exquisitely detailed glass jar, accompanied by a small bowl of cacao nibs! 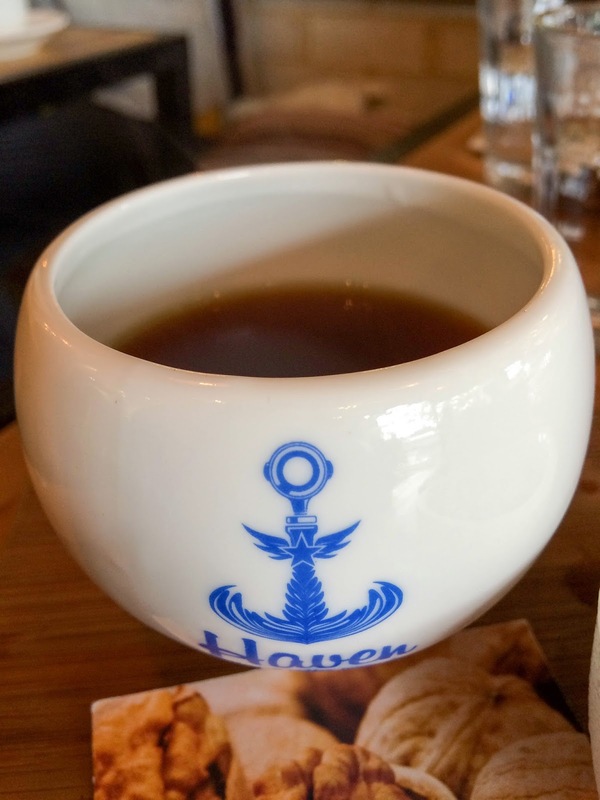 The coffee was certainly tailored joyously (it’s their slogan) and tasted crisp and clean. The addition of the nibs really elevated the coffee experience. 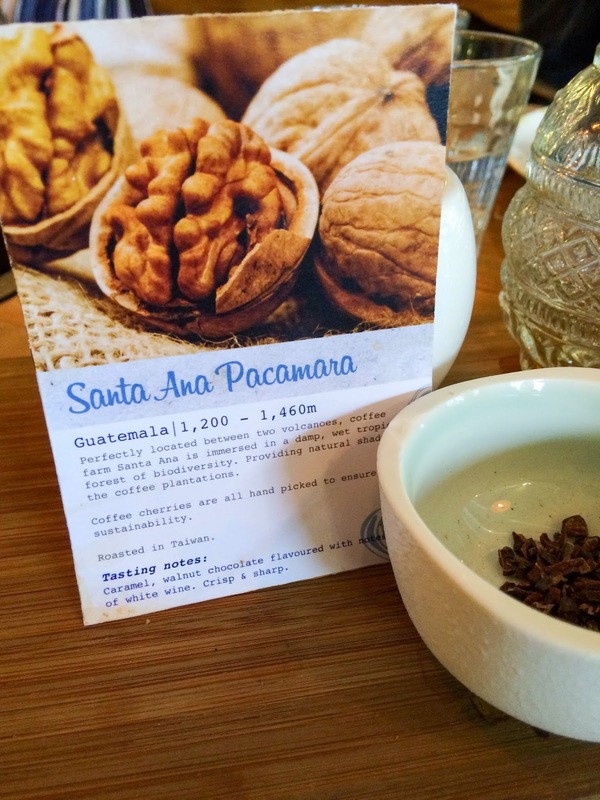 To top it off, there’s an information card that details the origin of the coffee, where it was roasted as well as tasting notes. Spot the tamper in their logo! Roasted in my 2nd home, Taiwan! 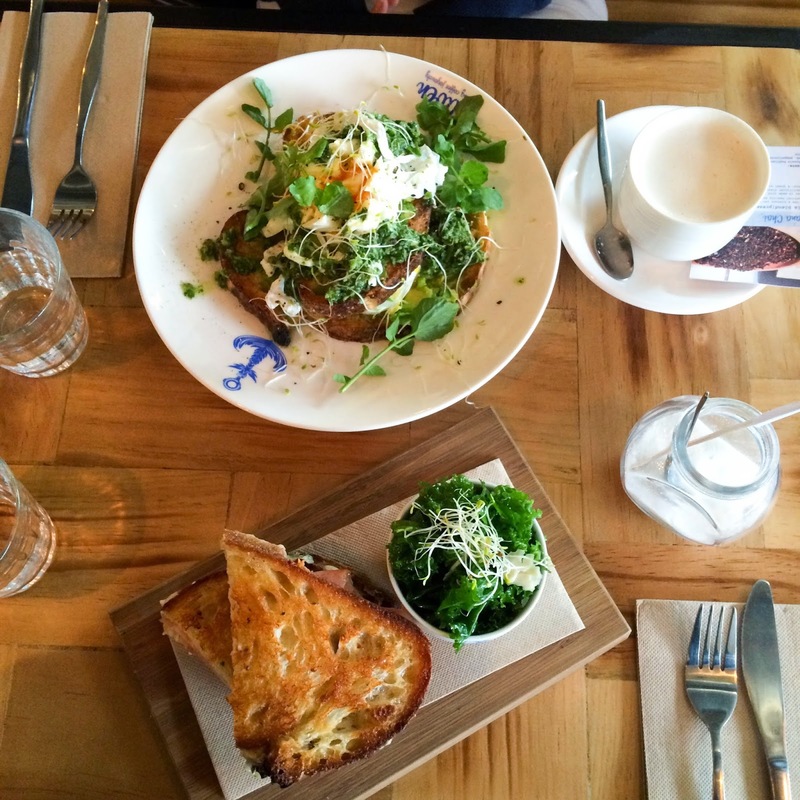 The Croque Monsieur ($14) comes with a side of kale salad. 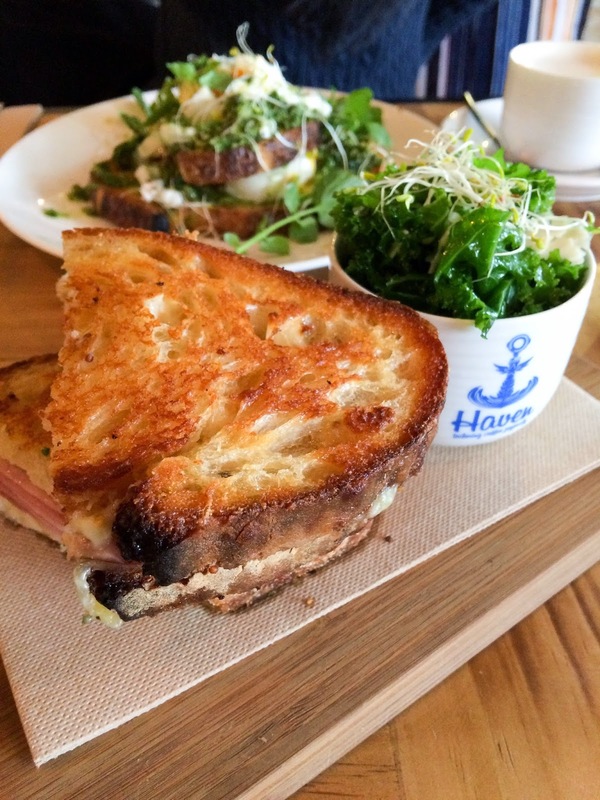 There’s something deliciously magical about melted Gruyere cheese, ham and thick toast. This was my first time eating kale and I’m quite the fan now! L’s smashed her way through the Smashed Eggs ($16). The salsa verde worked really well with the avocado, adding a fresh element to the dish. Yes! 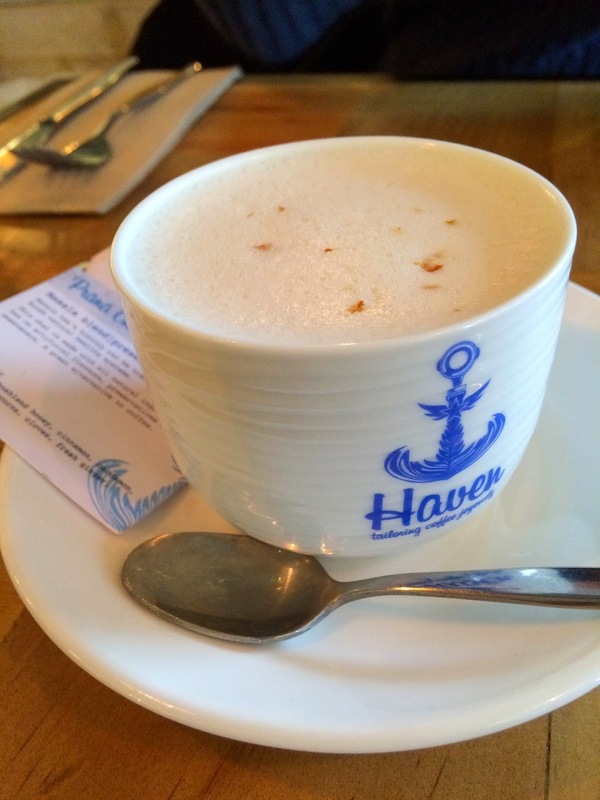 Haven is a really conveniently located haven for food and tailored coffee. QOTD: How do you like your coffee? Let me know in the comments below! we visited the weekend before last too and loved it! hope they stick around and do well.